Our 16 million annual users can find you via the function ›FIND RETAILERS‹ (located on all product and manufacturer pages of your represented brands), via the navigation and via the main search box (with autocomplete and search suggestions). 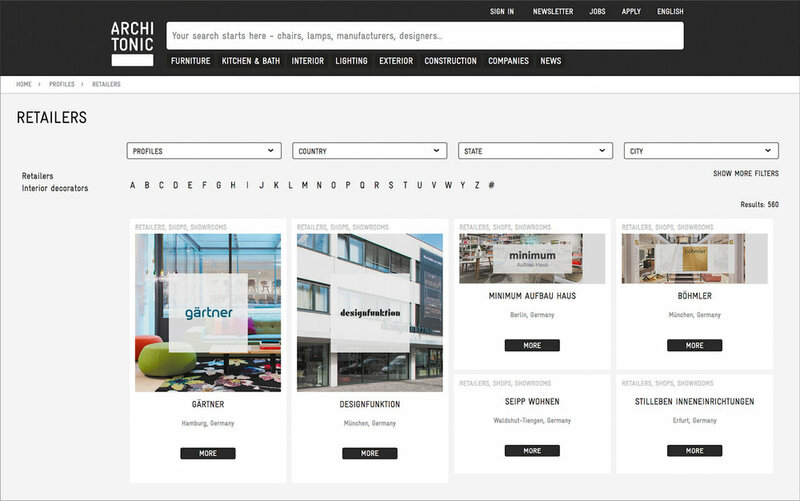 On your microsite, the full presentation of your showroom may be accessed via ›About‹ in the navigation. In addition, three of your showroom images will appear in the header and the first part of your profile text will be shown as a teaser.